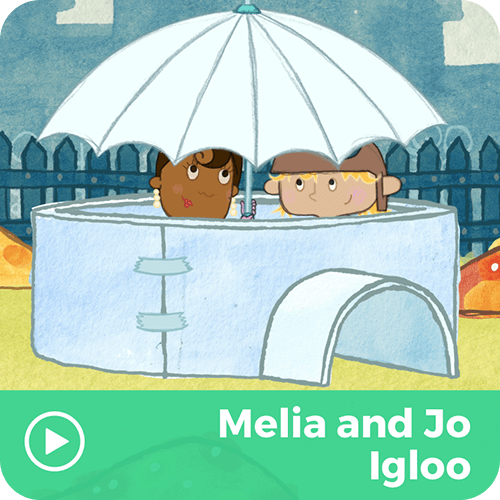 There's still seven days left of Fall, but Melia and Jo spot some snowflakes. There's only one thing to do: build an igloo! It's the perfect cozy spot to stay warm and dry (while Reynaldo serves cocoa). Melia and Jo, creating together!